Put Bruno Putzeys’ name into a search engine and you get plenty of results. He is ranked among such audio engineering luminaries as Nelson Pass and Siegfried Linkwitz, yet his name has yet to enter the wider audiophile hall of fame. Bruno started out designing Class D amplifiers for Philips where he developed the UCD circuit – a technology that saw him poached by Hypex who now build these amplifiers. Putzeys used his time with the company to develop NCore Class D modules that can be found in amplifiers from Bel Canto, Jeff Rowland, and others today. He created the Mola Mola brand while working with Hypex and went on to work on Grimm Audio active monitors. Now he has his own project... well not entirely; Kii Audio is a collaboration with Chris Reichardt from the pro audio field and software engineer Bart van der Laan. The Kii Three is the first fruit of this collaboration and if the sound quality it produces is anything to go by, it should put both the company and Putzeys firmly on the audio map, especially when you see the loud shirts he sports at shows these days. It was developed to combat the bane of all loudspeakers; the room. The space that you put a speaker in has so much impact on the sound it produces that it is almost impossible to make a one size fits all design. What Kii has done is to create a fully active loudspeaker with a cardioid dispersion pattern that goes a long way to minimising the impact of the room. The Kii Three is designed to cancel the rearward output of bass and lower midrange by sending an inverted phase version of the signal to the rear and side drivers with a delay that’s calculated to attenuate output. 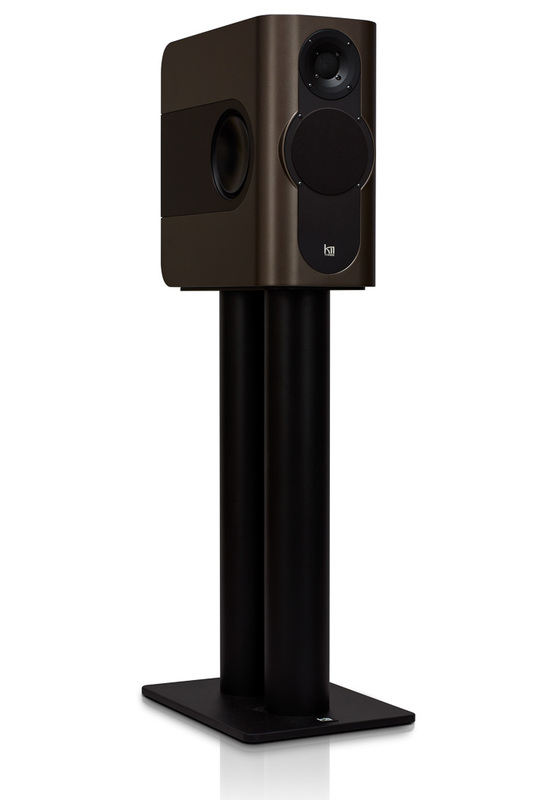 The problem with most speakers is that at higher frequencies output is highly directional while frequencies from the lower midrange down become more omnidirectional as they descend, so bass frequencies come out of the back to nearly the same degree as they exit the front. There are pros and cons with this, it means that the closer you put the speaker to the walls the more bass you get because it’s bouncing off the wall(s) but the problem is that this energy is delayed relative to the direct sound and thus smears the signal you hear. The Kii Three’s six drivers are controlled by a DSP crossover that uses antiphase in the rear drivers to stop bass from coming off the back of the box and bouncing off the walls. It’s a genuinely radical solution to one of the biggest problems facing speaker designers that also attempts to deliver a flat response within half a decibel from 30Hz to 20kHz. And as if that were not enough, phase coherence is also promised. Such is the potential of DSP in crossover design that such things are theoretically possible; in fact, others have built speakers that aim to achieve the latter qualities but rarely has this been executed in a genuinely uncoloured and musically coherent product.